Ivana and Manu of Around Gaia guide us through some more exciting destinations in Africa, the Continent they just finished exploring during their RTW journey that took them to 54 Countries in 4 years. After the first introduction to Tanzania and Rwanda, this week they take us to three more hidden gems, like Zanzibar, Rift Valley and Omo Valley. 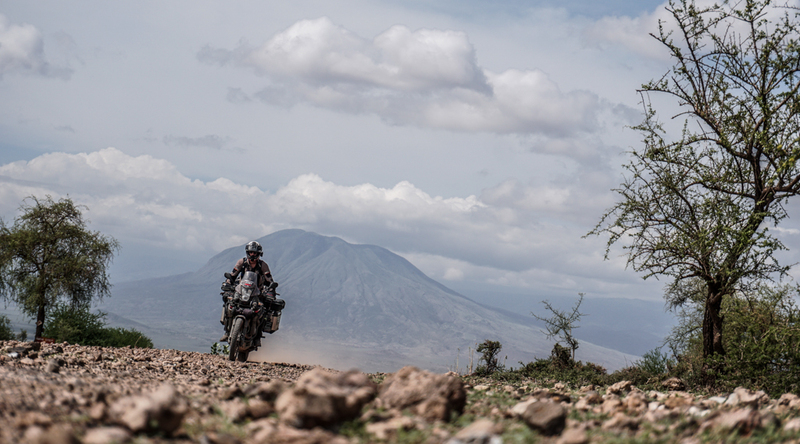 At some point your trip through East Africa needs a break. 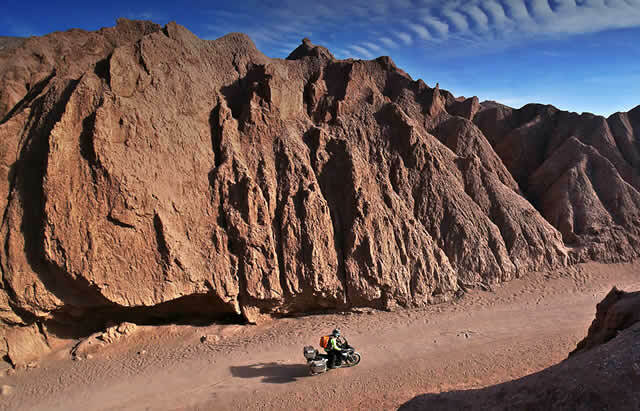 The intensity of exploring this Continent by motorcycle can leave you exhausted, and the solution is in Zánzibar. This coral island full of history hides some of the most beautiful beaches on Earth. There are two very different faces: the quiet west side to relax and eat some good fish, and the windy east side for the lovers of kite surfing. The Rift Valley is one of the biggest faults of the planet and, although you may not have known it until now, it´s the reason why you can read these lines today. When it rose it divided this region of the African continent into two very different areas, giving the East a drier climate that forced the local apes to leave the trees in search of more food. These then began to walk on two legs, leaving their hands free to create utensils and tools, eventually evolving into humans as we are today. The fault is enormous and it crosses several Countries, but we recommend visiting in a specific and easy to access place. A little more than 200 km North of Addis Ababa, on the route to Bahir Dar, the high plateau is suddenly cut by the huge crack. From that cliff, you can enjoy one of the best views this Continent can offer, with a glimpse of the Blue Nile at the bottom. This is one of the places where some of the oldest hominid fossils were found. Here they are trying to preserve human life in its most original form, even in the 21st century. Still isolated from the impact of globalization, this valley is home to many tribes that continue to live the same way after hundreds if not thousands of years. 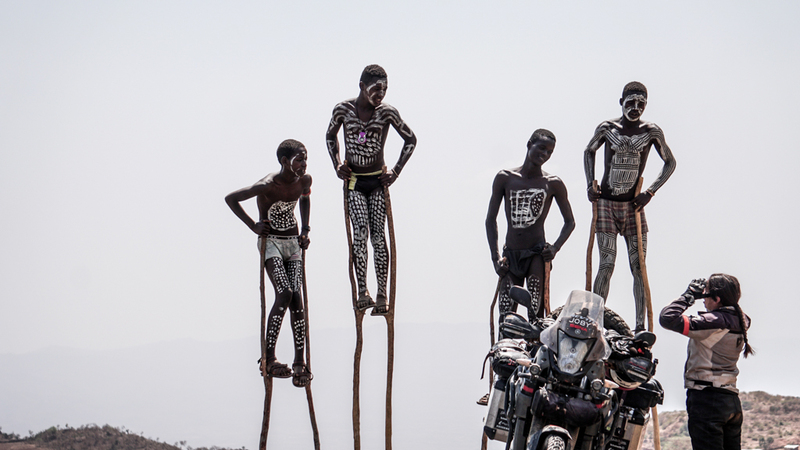 The best way to visit it by motorcycle is to follow a loop that starts and ends in Konso. 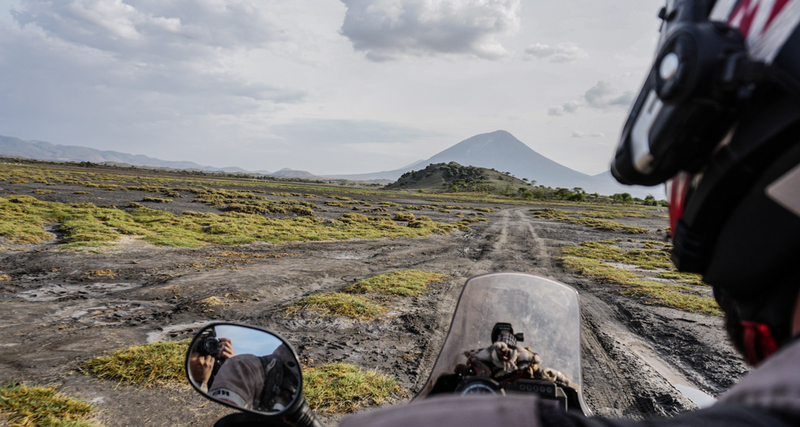 The road is paved Woito, where to to stop and eat the typical Enjira and drink one of the best coffees in the World. After that it’s all dirt road to Arbore and then Turmi. This place may be considered the heart of the Omo Valley. It´s a crossroad from where you can go visit Omorate along the river that gives its name to the valley, or return to Turmi and try to reach Dimeka on Thursday or Saturday. Those are the market days and people from different tribes (especially Hamer) walk many miles to get here to trade and socialize. Starting from Jinka there is a trail that will take you to the mountains and meet maybe one of the most unique tribes, the famous Mursi.